Mumbai: Kangana Ranaut recently lashed out at Aamir Khan and Alia Bhatt for not supporting her film ‘Manikarnika- The Queen of Jhansi’. Kangana’s war of words with Alia was fanned by the latter’s statement that she hadn’t been following the Manikarnika controversy so has no take on Kangana’s comments. 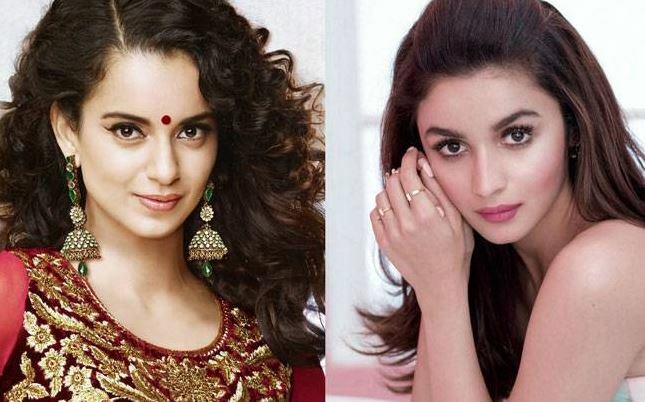 Alia also hoped that Kangana doesn’t hold any grudge against her. However, Kangana attacked Alia again, asking her to grow a spine and support a film about women empowerment and nationalism. She went on to say that she doesn’t consider Alia Bhatt successful as she is all about making the big bucks. Kangana even said that Alia’s existence is all about being Karan Johar’s puppet. Meanwhile, Alia Bhatt and Ranveer Singh are currently in Germany with the director Zoya Akhtar to attend the Berlin Film Festival. Both the actors are busy promoting ‘Gully Boy’, which releases on February 14.